Open the San Bernardino County Auditor-Controller/Treasurer/Tax collector if you want to have an online access to your tax bill, information, or if you want to pay your taxes and more at www.mytaxcollector.com. Having this online access to anything related to your taxes, you don’t have to go to the office of the treasury to pay your taxes. It’s made available to you all as long as you have an internet connection. You are sure to be treated fairly and in professional manner with the exceptional staffs under Larry Walker. Tools are provided online to give you convenience when conducting business with San Bernardo tax collector through mytaxcollector.com. Have a safe, efficient and effective way of handling your business like paying for your property tax. Not only that, they serve you with anything concerning taxes, but they will also provide banking services to those department of the county who are willing to invest in the treasury pot. Auctions are also available online for purchases on defaulted properties. Presently, my tax collector serves more than 730,000 property owners, 42,000 businesses and up to 40 school districts. The numbers don’t lie. 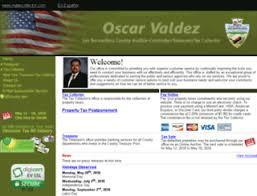 More and more people are using this very convenient, safe, efficient and effective way on dealing with your taxes. Pay your taxes online using any of your credit cards without even leaving the comforts of your home. For questions or concerns, business hours are from 8:00 Am to 5:00 PM Monday through Friday at (909) 387-8308. You may also make contact by sending an email through the “contact us” page.